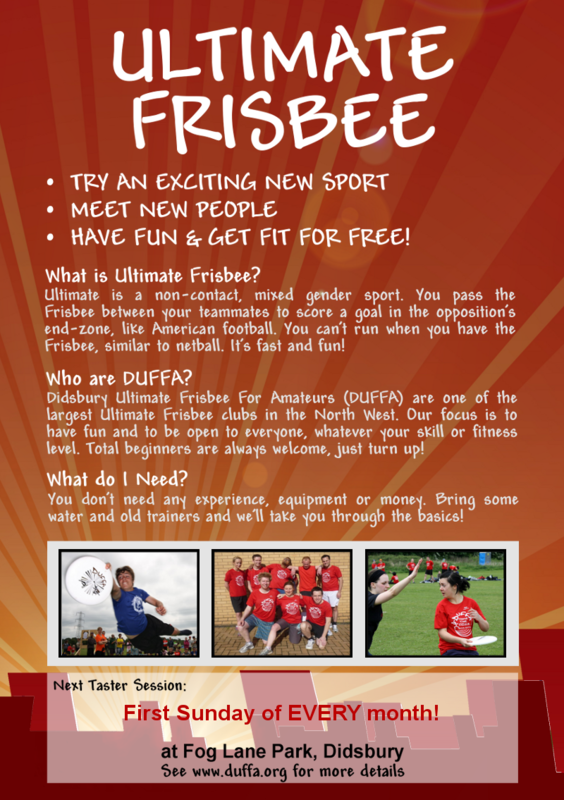 DUFFA - Didsbury Ultimate Frisbee For Amateurs • Learn Ultimate Frisbee and join a social club playing a fun new sport! 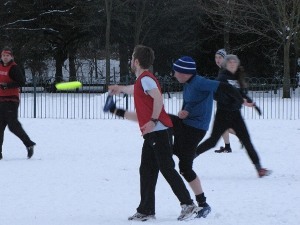 Try Ultimate Frisbee and Get Fit for FREE in the New Year!! 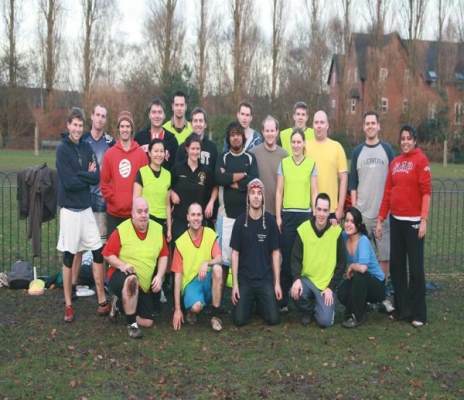 New members are very welcome - come play a fun and fast sport! 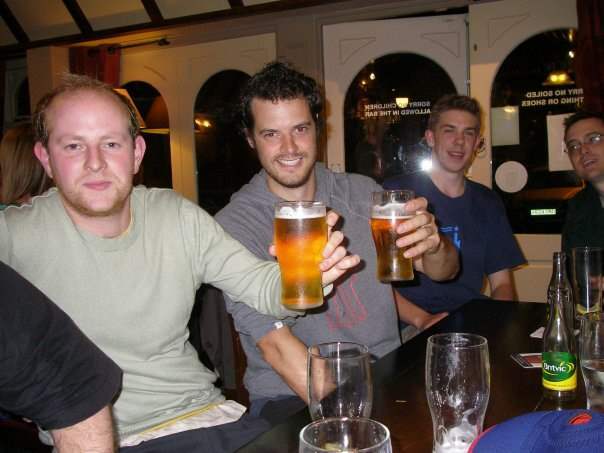 Meet new people and get fit for free! Come and try a fast and exciting new sport! 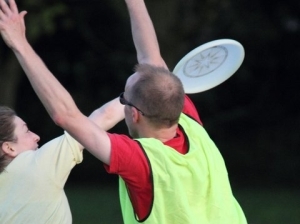 We're always looking for new members to come and play Ultimate Frisbee with us! 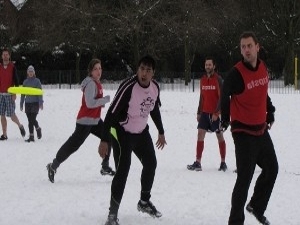 Our sessions are focused on fun, 'pick-up' games rather than drills and training. Looking to find a new activity in Didsbury to get fit in the New Year but without membership fees and expensive equipment? 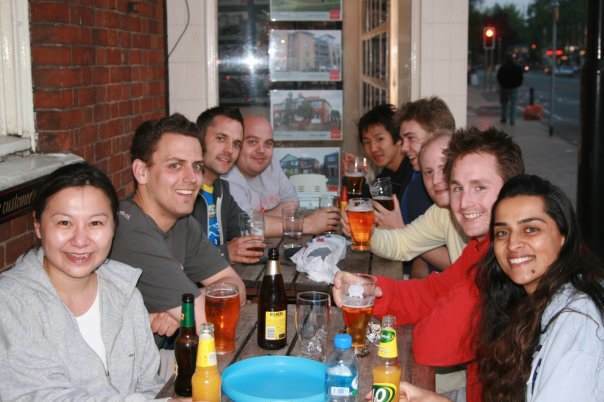 Or perhaps you're more interested in meeting new people in Didsbury and enjoying the social side of our sports club?! All are welcome! 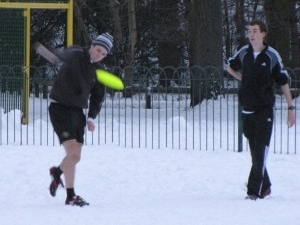 Ultimate Frisbee is a game often described as a cross between netball and American football. 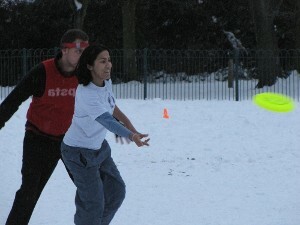 Two teams try and score points by passing the Frisbee to each other without it hitting the ground or letting the other team intercept it. 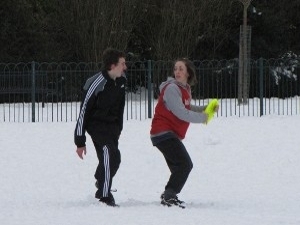 It's a mixed gender, non contact sport and is designed to be open to everyone of all abilities and fitness levels! It involves a lot of running but you "mark" a player of a similar ability so you never feel too slow or left out! 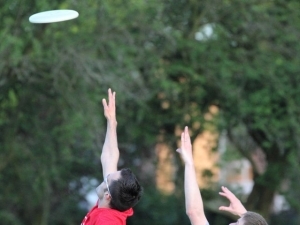 Our Beginners' Session run the first Sunday of the month at Didsbury Sports Ground - if you miss that - beginners are welcome to ALL sessions. 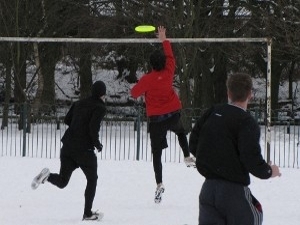 Dedicated Beginners Sessions are held monthly, but if you want to come down and give Ultimate Frisbee a go, please don't feel you have to wait for the next Beginners Session. Beginners are always welcome to ANY of our sessions. We have lots of friendly faces eager to show you the basics! 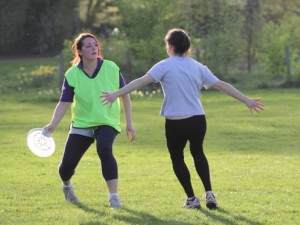 At beginners sessions we take you through the basics - throwing and catching skills and go over the rules. If you miss this session and are interested you can just turn up to any regular session too. Bring old trainers (if it's muddy) and a bottle of water. 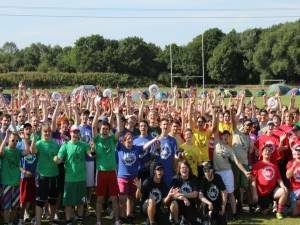 What is Ultimate and What to Expect at a Beginners Session? We introduce the game starting with the absolute basics. 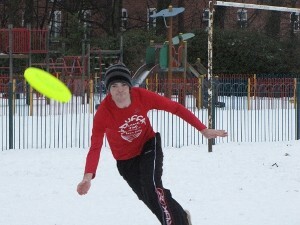 Never thrown a frisbee before? We'll show you how. We then introduce the rules of the game slowly before running a seperate "beginners" game to introduce the game in a relaxed and welcoming setting. At the end of your first session, if you want to, we'll include you in the main pitch but marking one of our coaches who'll ease you into the game! 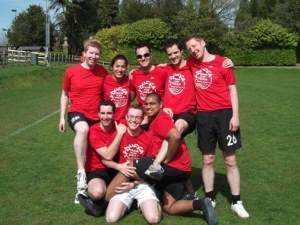 We play at Didsbury Sports Grounds on Sundays and Thursdays over the summer then Parrswood High School on Thursday nights indoors - check the homepage for the latest times.